Maninderjit Singh Bitta nurtured a patriotic passion right from his childhood and was very inquisitive by nature. He often put questions to his grandfather about the Jallianwala massacre and accompanied him to the historical site. From every single visit to the memorable place, he drew a secret inspiration from the great tragedy that took the lives of innocent human beings. He grew up reading books on Subhash Chandra Bose, Chandra Shekhar Azad, Shaheed Udham Singh and Shaheed Bhagat Singh that expanded his vision and greatly influenced his ideology and thinking. The house in which he stayed in Amritsar was just a stone’s throw away from the Golden Temple. Bitta was baptised into politics in 1974 when he was in eighth standard. From an ordinary Seva Dal volunteer, he soon rose to the position of Amritsar district Youth Congress President. By this time, militancy was already on the rise and Sant Jarnail Singh Bhindrawale was spitting fire. Bitta soon was involved in an ugly confrontation with the militants. 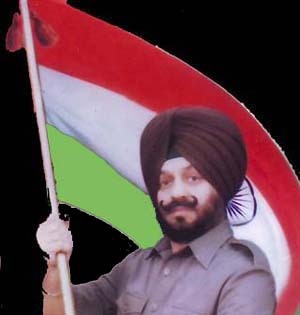 The young Congress leader received warning from Bhindrawale’s men against unfurling the tricolour on Independence Day in 1980. He ignored the warning and requested a senior Congress (I) leader to preside over the function at Chowk Baba Saheb but the latter refused. He persuaded another Congress (I) MLA to do the unfurling. When the function was on, six menacing young men climbed on to the stage and started distributing Pro-Khalistani leaflets and shouting slogans. Bitta recalls the incident, “But before they could utter zindabad after Khalistan, we overpowered them and gave them a good thrashing.” But what followed soon after was not altogether pleasant. Seven of Bitta’s friends were attacked and injured by the militants. Bitta however refused to be cowed down by the threatening militants and continued his campaign against them with more determination. The militants nearly found their target on many occasions but he made a narrow escape each time. Once while he was returning to Amritsar from New Delhi, seven terrorists were waiting to ambush him. The militants had blocked the way by placing a truck across the road. Luckily, a government car with two IAS officers was going ahead of Bitta’s car. Bitta’s gunmen realized that the militants were waiting for the government car to pass, and they surprised the militants by opening fire first. The militants could only fire from behind when Bitta’s car was well clear of the range of fire. But the May 9, 1992 incident had left scars on him forever. Yet again, the militants lay in wait for Bitta as he was heading for Amritsar. They parked a Maruti by the roadside and when Bitta’s motorcade overtook it near the Hide market, they set off a remote-controlled device. The powerful blast that took place near Waryam Singh Hospital in the Rambagh area of Amritsar killed 12 persons on the spot and injured as many as 63 others and Bitta’s leg was nearly severed when a flying splinter hit him. His gunmen acted swiftly and shifted him to the bullet-proof car and sped away from the site. The militants perched on the roof of a nearby house fired at him vainly. The attack came as Bitta was proceeding to inaugurate the silver jubilee function of a laundary plant in the Golden Avenue at 11.30 am. At that time of his life, Bitta was a Minister of state with the charge of the public health department in the cabinet of Sardar Beant Singh, former CM of Punjab who was killed by the militants of the Babbar Khalsa International by planting a powerful bomb in his car. In the second major bomb attack that occurred on September 11, 1993 outside the Indian Youth Congress office at 5 Raisina Road, New Delhi nearly took Bitta’s life. The militants again used a car bomb to eliminate him but he made a narrow escape with some minor cuts and bruises. But the incident terribly shocked him but his resolve to fight against terrorism became stronger. Nine persons were killed and 35 injured in the Delhi blast that occurred just as Bitta’s four car convoy drove out of his office for Punjab Bhawan at 2.33 p.m. soon after he finished addressing a meeting. The pilot Gypsy escaped, while the second tail car carrying six ITBP commandos blew up in the blast. It is believed that two RDX and PETN base explosives each weighing approximately 20-kg was used in the attack. The terrorists on both of the attacks chose Saturday for carrying out their sinister operation. Surprisingly, his security was withdrawn on September 9 just a day before the incident occurred that certainly is an issue for investigation. Only a soul of his resoluteness who has earned the name “Zinda Shaheed” (Living Martyr) could withstand such a tragic onslaught and still afford to muster enough will power to risk his life again for the cause of society and nation. As he puts it, “I live a life of bonus now and I have resolved to devote my entire life for the cause of the people. The issue of terrorism has begun to manifest itself on global parameters. It is high time all the nations raise a united fight shedding their mutual differences. It is imperative that a permanent movement at the world level is maintained to curb the onslaught of global terrorism. ” The AIATF chief is trying to bring different nations on a single platform for his “International Conference on Global Terrorism” scheduled for September 9, 2005 that will be hosted in the prestigious Vigyan Bhawan. Fear of death does not daunt him anymore in his missionary zeal to blunt the campaign of ‘the traders of terrorism’. Instead he is filled with an unusual rectitude and mighty spirit to carry on his fight against the perpetrators of mankind. He has lost counts of the numerous attacks by terrorists to eliminate him. There were moments when he was saved by only a whisker. Luck favors the brave who have the heart to live dangerously. Overtaken by a single purpose, Bitta defies death to achieve his goal in the midst of an extremely hazardous task to wipe out terrorism from human lives. Bullets and bombs do not scare him anymore as he has savored enough of them since the day he declared a war on the enemies of mankind. It is rare to see anybody stand up to confront ‘downright violence and terror’ with such boldness. His stoicism to the dreadful tragedies suffered by him in life contributes decisively to his inner strength to challenge them. 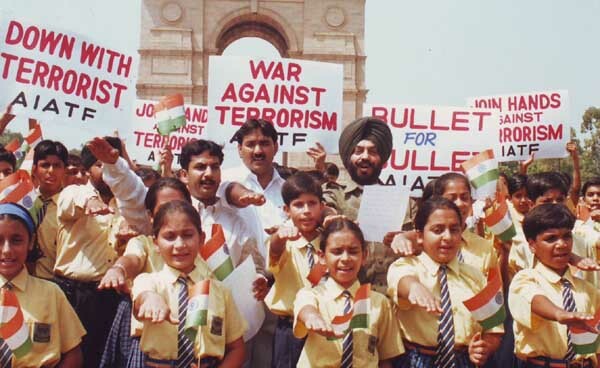 Bitta’s efforts to spread awareness against the menace of terrorism among the people through his voluntary organization christened All India Anti Terrorist Front has rekindled the fire of patriotism among the youth. Hundreds of enthused youths along with men and women of all age groups pour in every day at his Talkatora office to join his movement. With a wide network spread across the country, the movement has received good dividends and holds tremendous appeal among people. 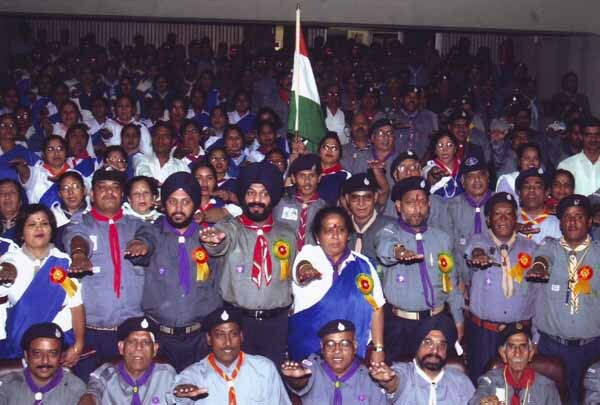 Bitta has also raised monetary support for many terrorist victims and their families along with war victims on many occasions by organizing major functions in Capital’s prestigious Vigyan Bhawan. Besides, he never loses an opportunity to take the government to task by organizing protest demonstrations whenever an issue of social or national importance springs up. However, he gives priority to raise movement against terrorism wherever it exists. Bitta is visibly concerned at the onset of Global Terrorism particularly when WTC towers was hit by Al-Qaeda terrorists on September 11, 2001, and the recent attack on the underground railway network in Great Britain and Egypt falling prey to terrorists. He has held many functions at domestic and international level to highlight this grave issue. But it is a pity that his genuine effort for a just and social cause is yet to be recognized by the government or any other reputed national or international organization. Though an award in itself would not induce an individual to perform heroics, but it is the recognition that matters and Bitta certainly leads the chart of courageous men in the country and the world. It is surprising that his single-handed fight against such a dreadful social evil like terrorism for more than 25 years has not impressed the intellectual few who decide nomination for the Magasaysay awards. The democracy has become a rotten word and the system has begun to rust and true patriotic citizens like him are left to suffer the negligent attitude of an ill-fed system. A. C. Bradley in The Substance of Shakespearean Tragedy says, “Let it be granted that the system or order which shows itself omnipotent against individual is, in the sense explained, moral. Still – at any rate for the eye of sight – the evil against which it asserts itself, and the persons whom this evil inhabits, are not really something outside the order, so that they can attack it or fail to conform to it; they are within it and a part of it.” The government should start a subsidiary movement involving people to discourage terrorism and persons like Bitta should be summoned to lead it as he has the courage and determination to turn the impossible into possible. Having discussed the substance of such a thing, the government should naturally go on to examine the possibilities of its constitution. This gritty fighter assisted the police party on April 27, 2005 to arrest Lt. Col S. P. Singh red handed while he was accepting Rs 40,000 as bribe from Vijay Ahuja, the brother of fighter pilot Ajay Ahuja. He was shot dead by Pakistani troops while ejecting to safety after his MIG-27 suffered a hit by a missile in the Kargil sector of Jammu and Kashmir on May 27, 1999. Fed up by the harassment, the Ahujas had sought Bitta’s help who with the help of a police party from Bathinda led by DSP Darshan Singh laid a trap for Lt. Col Singh. Meanwhile a hidden camera was also set up in his office by a representative of the electronic media and the guilty officer was caught on the tape for his misdeed. More than to his physical self, it is his mind that still nurses the wounds of resentment inflicted by a falsified and corrupt system that has narrowed its vision to impart justice to the right individuals and he is one of them.